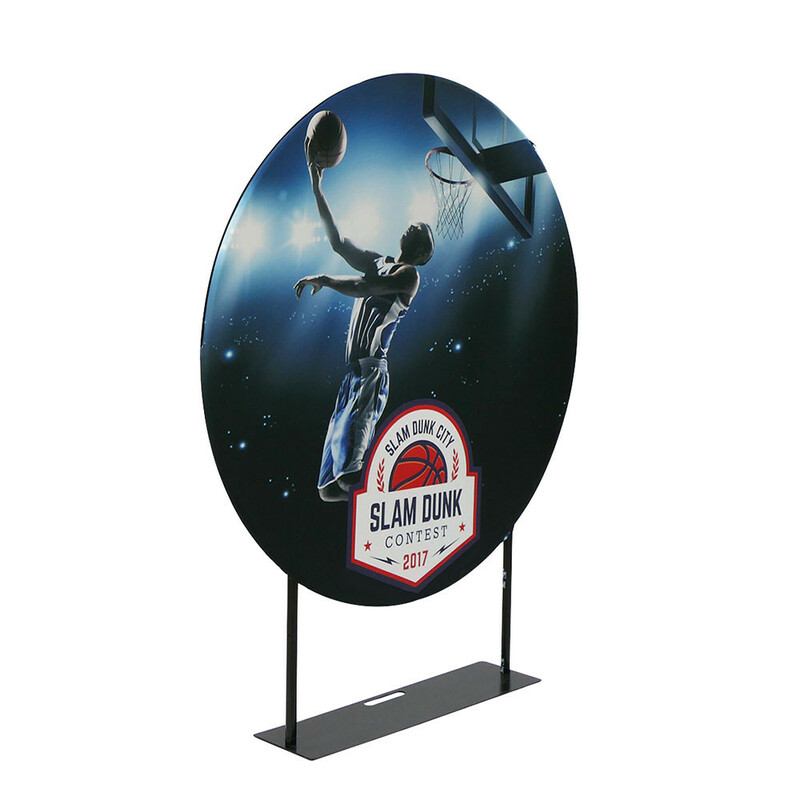 Introducing the tension fabric EZ Fab Circle Displays. 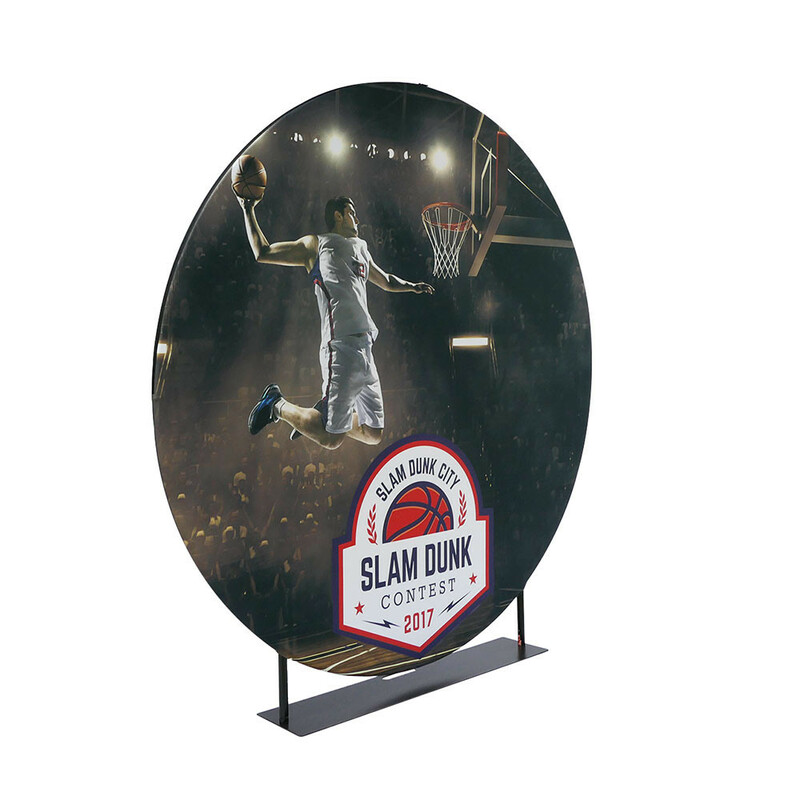 Score major attention at any trade show or in any retail environment with this simple hoop frame covered in stunning full-color graphics. Signature lightweight aluminum snap tubes connect together. Single- or double-sided fabric pillowcase graphic easily zips taut. Iron base provides stability. 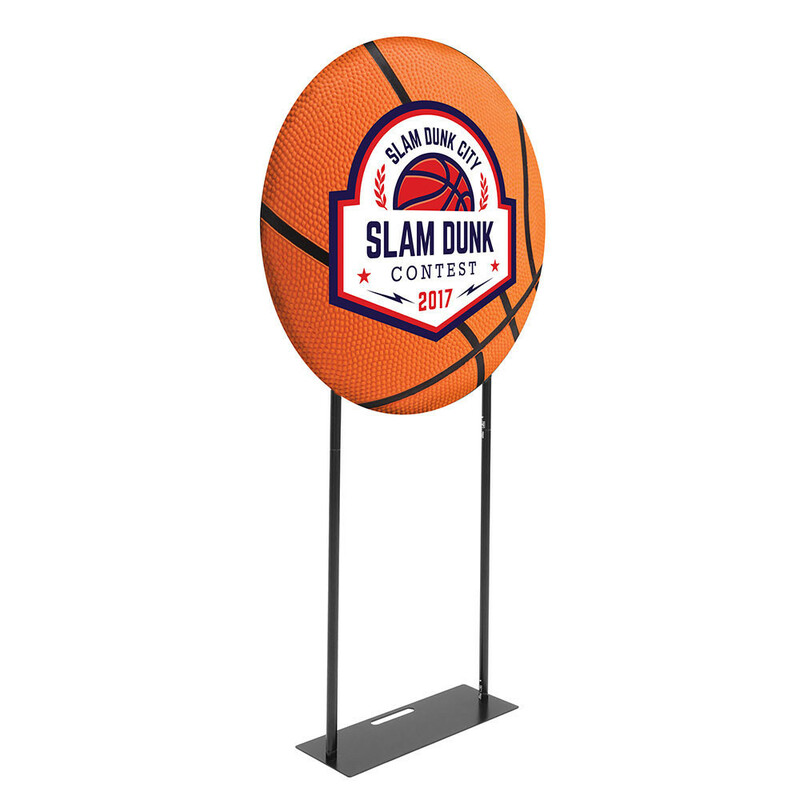 Three diameter sizes to choose from. Single- and double-sided options. Nice and round, and big! No catch: Listed prices include hardware & print.